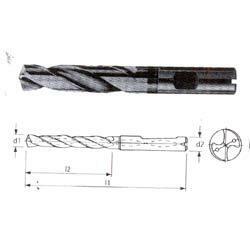 Our domain expertise has enabled us to come up with Industrial Drill. 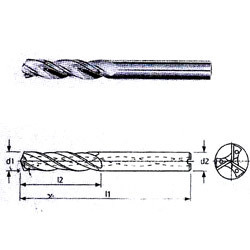 Under this category, we offer our customers a wide assortment of Solid Carbide Step Drill, Solid Carbide Drill, Solid Carbide Core Drill and Solid Carbide Flat Drill. The range offered by us is appreciated in the market for its features such as resistance against corrosion and high strength. 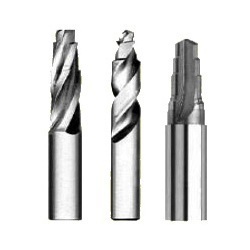 We offer these industrial drills to the clients at market-leading prices. Our organization is counted among the distinguished manufacturers, suppliers and traders of Industrial Solid Carbide Drill. 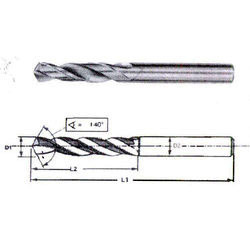 The offered carbide drills are widely used for steel, cast iron and exotic material drilling applications. 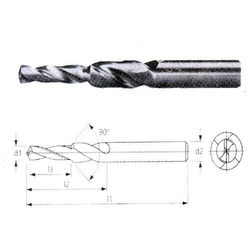 We offer these drills to the clients in variegated sizes, shapes and diameters. Owing to the features such as low maintenance cost and resistance against corrosion, these find their applications in engineering, heavy machinery and automobile industries. 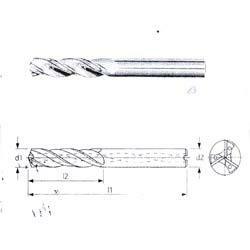 With the help of experienced engineers, we have been able to design and develop Solid Carbide Step Drill. These are designed and manufactured by the professionals in compliance with the industry standards. 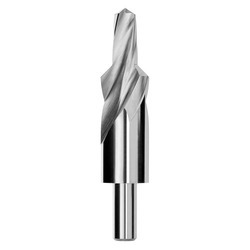 The offered drills are widely acknowledged for their attributes such as perfect finish, accurate dimensions, high strength and durability. 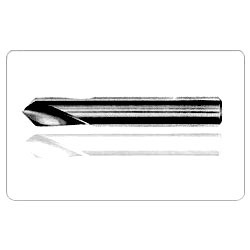 Being a quality focus organization we offer a wide array of Step Drill. Offered range caters fine production. 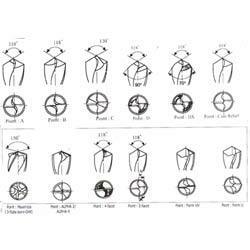 Besides, these products are recommended by the clients for their precise performance and high tensile strength. Moreover, our range is available in various patterns and sizes that are reckoned amongst the clients for their efficiency and effectiveness. As well, our range can be customized as per specific requirements of the clients. 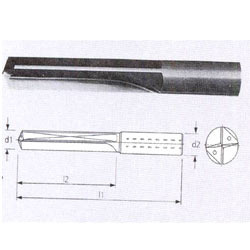 For drilling Cast Iron Malleable Cast Iron, Steel Castings etc. In order to fulfill the changing demands of our clients, we are offering Industrial Shaft up to 4 meter with diameter 600mm. 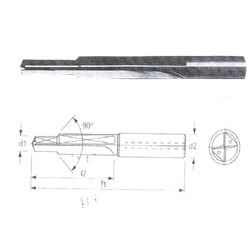 The offered shafts are widely used in different industries such as automobile and engineering. 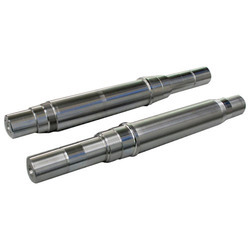 These shafts find their applications in electrical motors, pumps, automobiles and machines. Before the final delivery, all our offered industrial shafts are stringently checked on varied parameters by the quality analyzers to ensure their flawlessness. 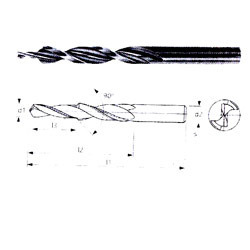 Our range of Burnishing Drill is available in the market at leading prices along with various specifications and compositions. Safe in use and durable our range is reckoned for its precise and accurate dimensions. Moreover, offered range stands on the parameters set by the clients and made by the professional’s rigorous guidelines that follow industrial norms and standards by manufacturing this range. 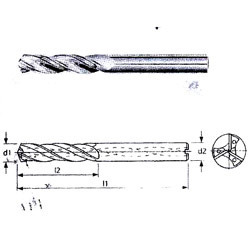 Innovation is our forte and we strive to design and develop Solid Carbide Drill. 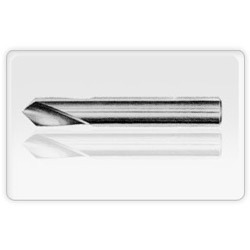 The offered carbide drills can be availed by the clients in varied sizes & technical specifications in order to meet their requirements. 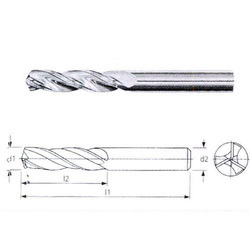 Owing to the dimensional accuracy, low maintenance cost and resistance against corrosion features, these are appreciated in this highly competitive market. Our professionals ensure that only defect-free range is delivered at the clients' end within the promised time. 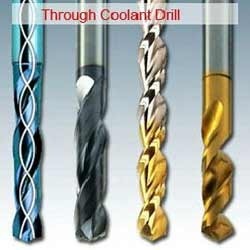 Compact designed and light weighted Coolant Fed Drill is offered to our esteemed clients. Our range is demanded by the clients for its flawless performance. Also, offered range is reckoned amongst the clients for its sturdiness and durability. Moreover, our range is available in both generic and customized pattern in order satisfies the diverse requirements of the clients. For precise drilling on NC machine. 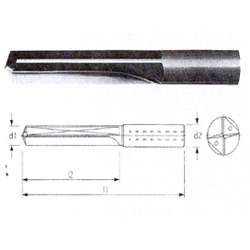 The tool life can further be enhanced with various coating like Tin, TiA ln etc. 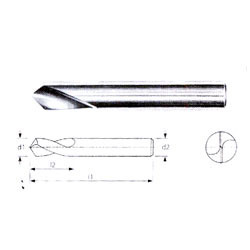 Reduced carbide length, reduces tool cost. 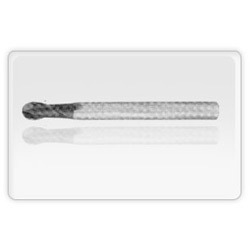 Steel shank ensures tool cost saving, better tool grip resulting in higher cutting torque. This will also avoid collect damage as well as saving the machine spindle, thus increasing the machine life. 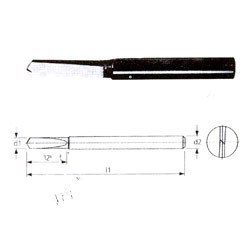 The tool life can further be enhanced with various coating like Tin, Tia ln etc. 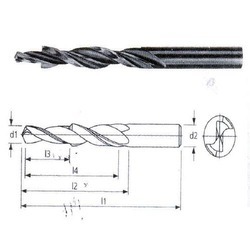 For Drilling Cast Iron Malleable Cast Iron, Steel Casting etc. 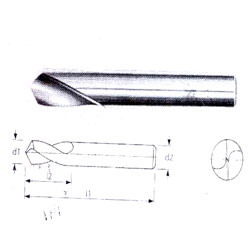 Innovation is our forte and we strive to design and develop Solid Carbide Core Drill. 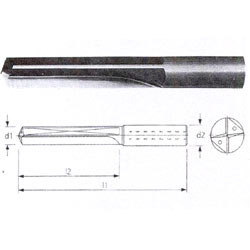 Solid carbide core drills are highly demanded and admired among the clients for their high strength and low maintenance cost. Before the end delivery, our offered core drills are stringently checked by the quality analyzers on varied parameters to ensure their flawlessness. 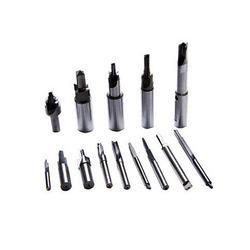 Our clients can avail form s a quality assortment of Sub-land Drill. These products are reckoned amongst the clients for catering supreme performance and high functioning. Besides, these products are available in the market at leading prices of the market. Also, offered range is made using high grade machines and quality material which in turn enhance the functioning of this range. Note : Cutting speed & feed rate are given only for guidance purpose. 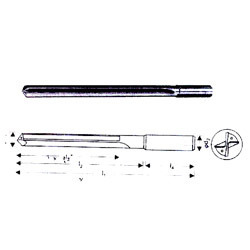 It is to be established in application. 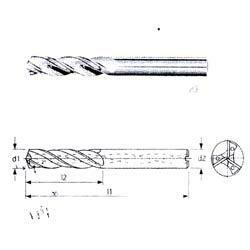 Looking for Industrial Drill ?